See the following box for current Swedish fuel prices. 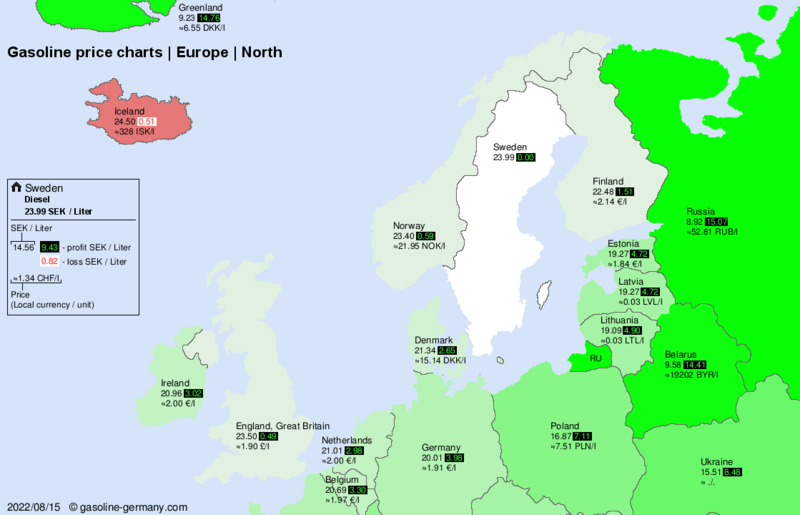 The figures quoted there ae based on prices that users have reported from Sweden. This method of gathering data is not always reliable – so be prepared that actual prices can differ slightly. 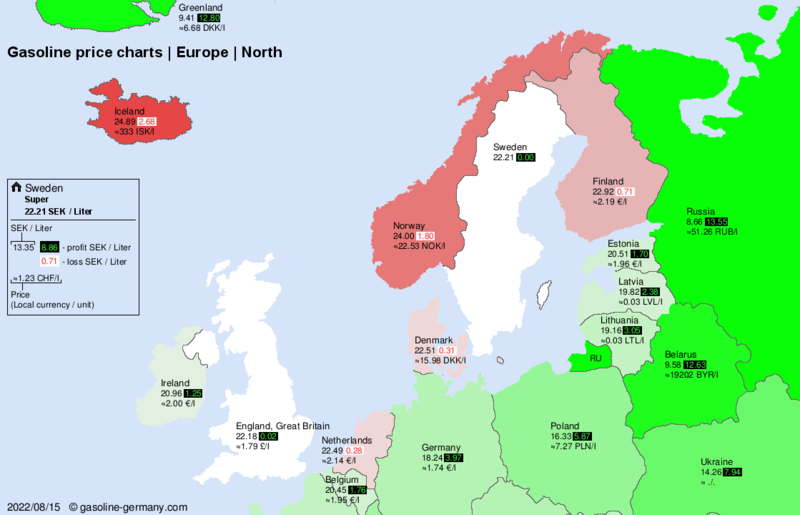 Alternatively, you can follow the links further down on this page for official current gas/petrol/diesel prices from Sweden. Prices are in Swedish Krona (SEK). See our Currency Converter. 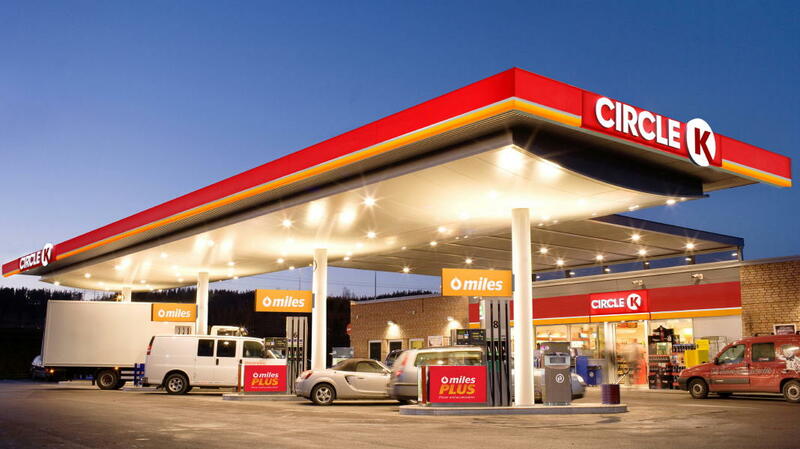 Statoil – Has changed name to Circle K starting May 2016. 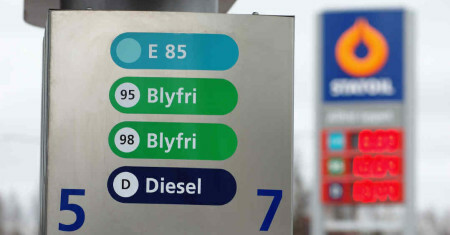 All in all 490 Swedish service stations will be rebranded. The process will take over two years. Some chains have two prices, specifically for “bemannade stationer” (they cost more) and for “obemannade stationer” and “automatstationer” (they cost less). The former are service stations with staff and checkout, the latter are unmanned service stations – here you can only buy fuels with your credit card and usually also with your Maestro/EC card (you will need your PIN for that). 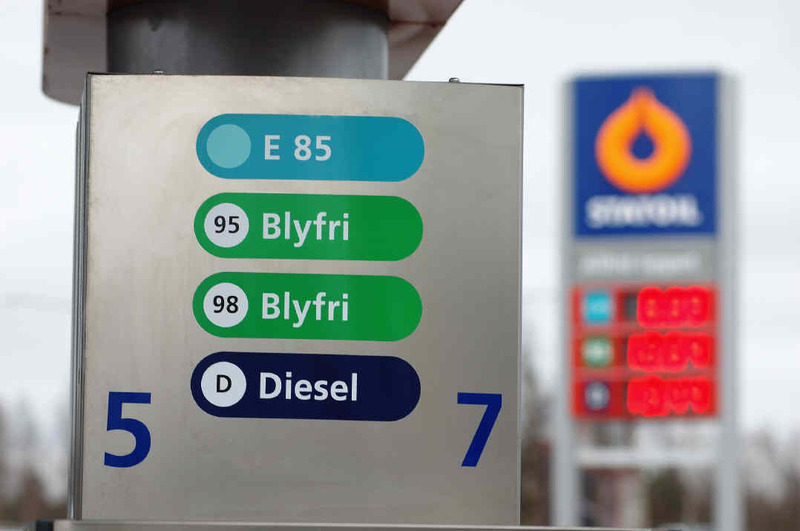 Normally you can get the best fuel prices on the west coast north of Gothenburg – because of the proximity to the major refineries. More detailed price comparisons are available from the Swedish websites www.bensinpriser.nu and www.bensinpriser.se.